An otherwise invisible space, two hands united represents a haven of refuge and a place of solace. 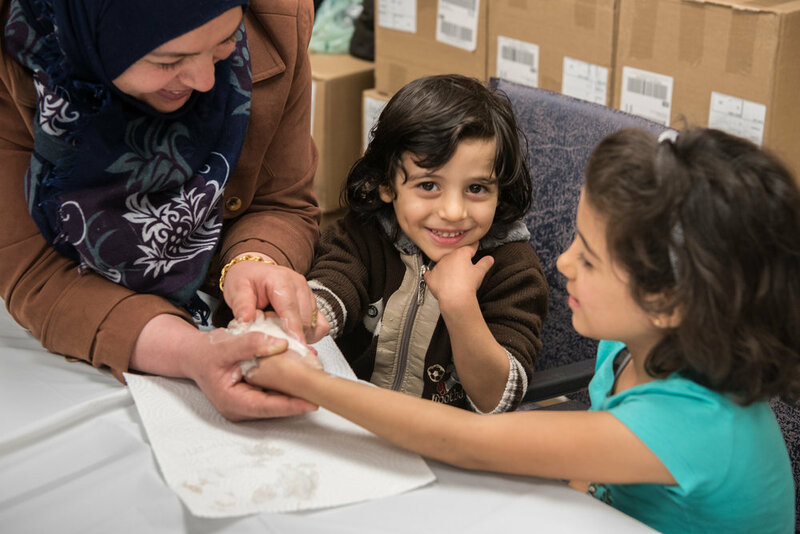 This work was created using the hands of our newest Canadians — Syrian families. Working with these participants, the clasped hands of family members were cast from life, giving form to the negative space between their palms. These hand casts give form to the distance, proximity, and connectivity between these families. This work is social in its process, encouraging engagement and community connection. Thank you to Immigrant Services Association of Nova Scotia, Melissa King, Nada Beydoun, Aseel Ali, and participating families for supporting this project. Photography credit thanks to Katie Nakaska; Ozge Aytekins, Anna Sprague, and Luke Smith and Mohammad Ashour for your assistance.